In-game voice chat poor quality? Want to talk to your team mates when you are not ingame? Voice servers are perfect for communities and clans who need a central communication hub. Our voice servers start as low as €0.28 / £0.20 a slot and are available in EU and US locations. Teamspeak 3 is the leading online voice hosting service available (established since 2002) allowing for mulitple users to communicate in realtime over high quality audio codecs. You may have used the voice chat functionality ingames before, however there are often of poor quality and require your friends to be connected to the same server and be in-game to actually communicate. 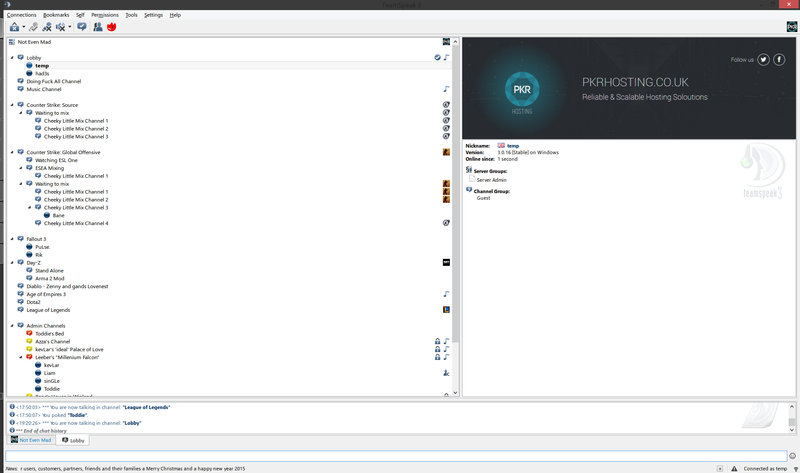 With Teamspeak, you can communicate across several games, or even from your desktop allowing for a central communication point for your team mates. 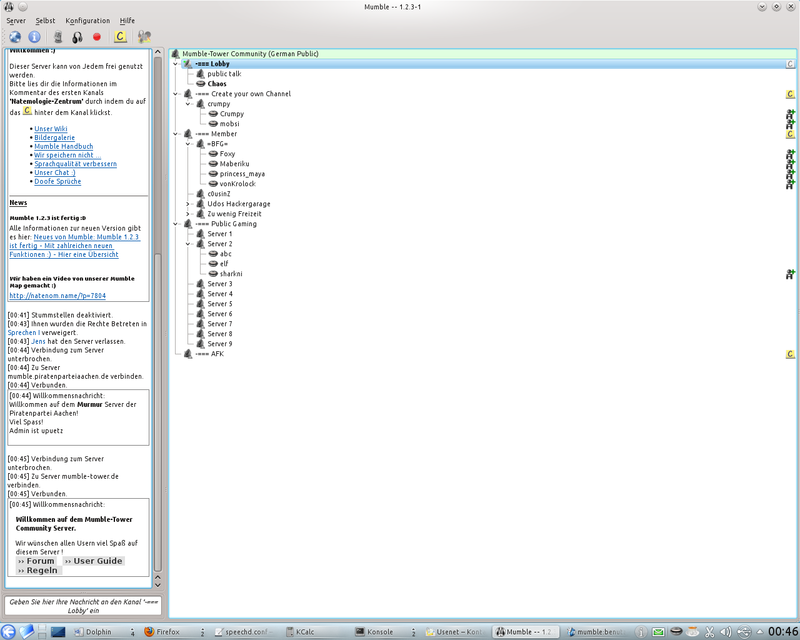 The Open Source equivalent of Teamspeak, Although not as polished as a product as teamspeak, mumble is still popular amongst many guilds and organisations due to its reduce price and flexibility.